Caity has been working as a body jewelry specialist in the piercing industry since 2014. She’s originally from Providence, Rhode Island where she got her start at Rockstar Body Piercing. 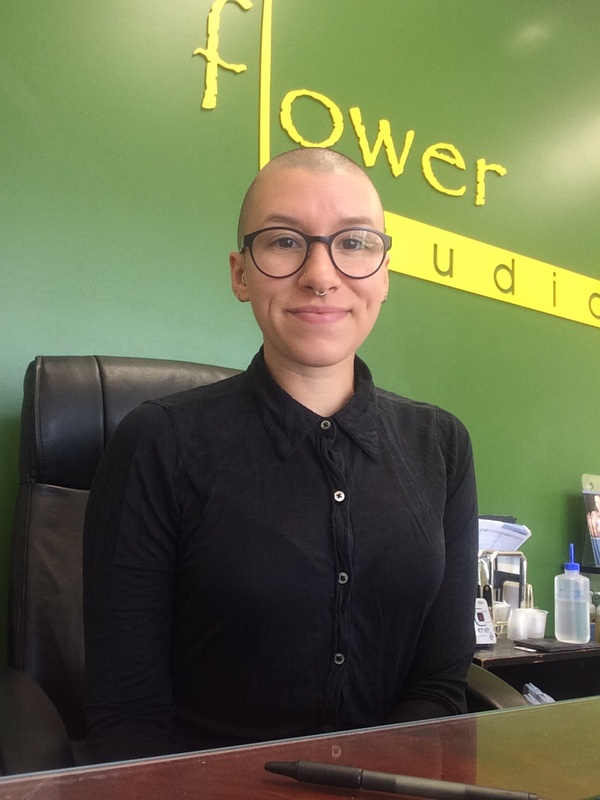 She moved to Los Angeles in March 2017 and joined the team at New Flower as our body jewelry curator. You’ll see Caity on the weekends managing the showroom. She keeps our studio clean and our showcases filled with the newest and most popular jewelry designs. If you’re interested in gold you’ll want to speak to her. Jewelry really is her specialty and she’s an expert. Caity@NewFlowerStudio.com. In 2017 Caity was interviewed for a presentation given at the annual Association of Professional Piercers conference in Las Vegas. The role she plays in a studio like New Flower is critical. The modern era of body piercing requires specialist who understand jewelry and piercing basics more than someone in the same position ten or more years ago. The front-end staff today is responsible for more than just house cleaning and basic customer service. At New Flower she’s responsible for acquiring the best jewelry for our clients and managing special orders in addition to helping our clients make wise decisions about the piercings and jewelry they leave with. Body piercing jewelry is often the the way studios set themselves apart from the competition. Caity helps monitor what our clients like to wear and the newest designs from our jewelers. Our inventory is greatly influenced by her recommendations and she helps us keep our showroom exciting. When you visit she’ll talk to you about the jewelry you wear in other piercings and help point you in a direction that keeps your new jewelry in tune with your existing style. Don’t forget you can find her in the studio on the weekends.